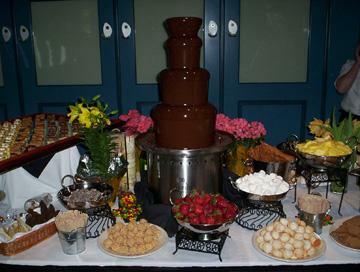 Our Chocolate Fountains are the perfect centerpiece for any event where you are looking to attract attention or make a lasting impression. Amaze your guests as they dip giant strawberries, billowy marshmallows, delicious cookies and more into our highest quality chocolates. 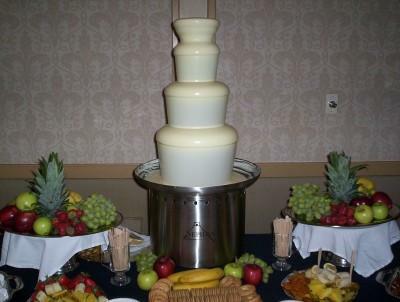 Chocolate Fountains are in big demand at weddings, corporate events, conferences, anniversary/birthday parties, and any event you are looking to have a "WOW" factor.